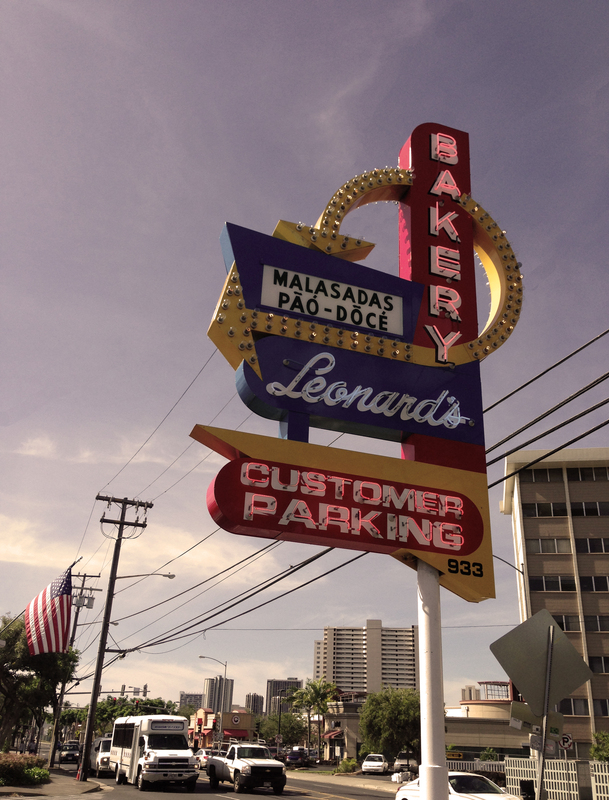 Hawaii may not be known for its donuts, but Leonard’s Bakery in Honolulu found something that keeps visitors and locals lining up outside their doors: Malasadas. 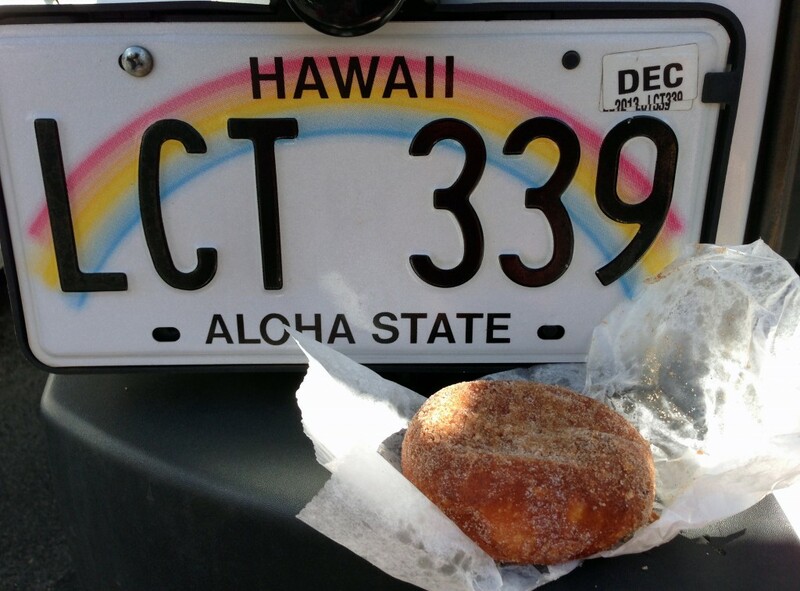 A close cousin to the donut, malasadas here are baseball-sized balls of yeast dough, deep fried in oil, and coated in a variety of sugars. And since they don’t contain holes, some Hawaiian malasadas include cream fillings. They originated in Portugal, but when immigrants came to Hawaii to work in the plantations, they thoughtfully brought along this this fried bundle of joy. 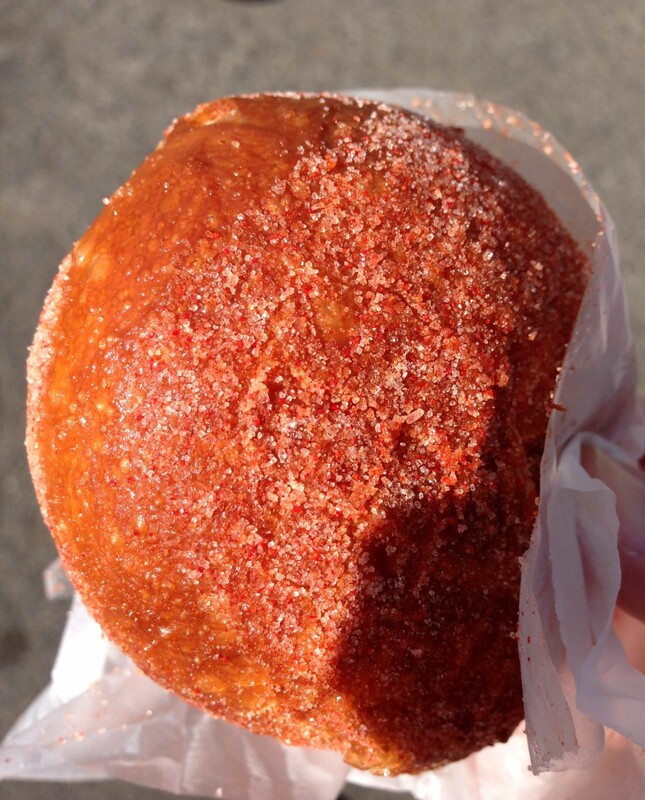 When I approached the counter, which has been around since 1957, I carefully chose my 3; cinnamon sugar, Li Hing (sweet & sour), and Dobash (chocolate) filled. They quickly came out in a bag, piping hot. It was nice having them made to order versus sitting in a counter waiting to be plucked out. 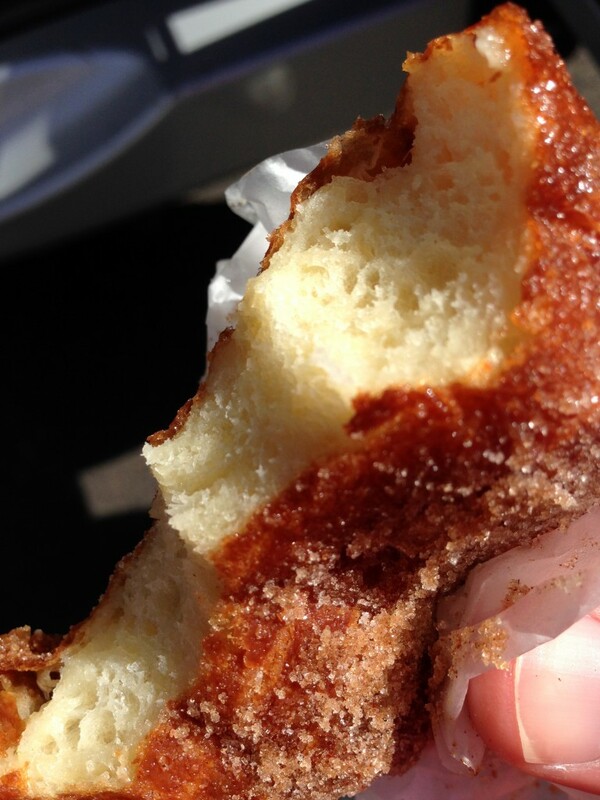 I started out with the most basic, the cinnamon sugar. 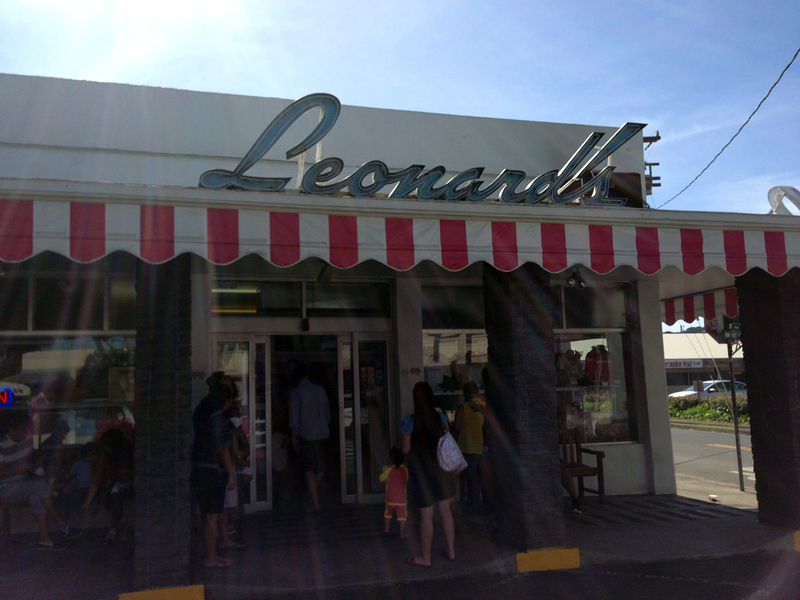 It was better than zeppoles or other fried dough balls I’ve had. This was a hot and fresh mix of chewy and crunchy with the sugar on the outside. I was pretty happy. I didn’t think I would like the sweet & sour, but it was surprisingly good. 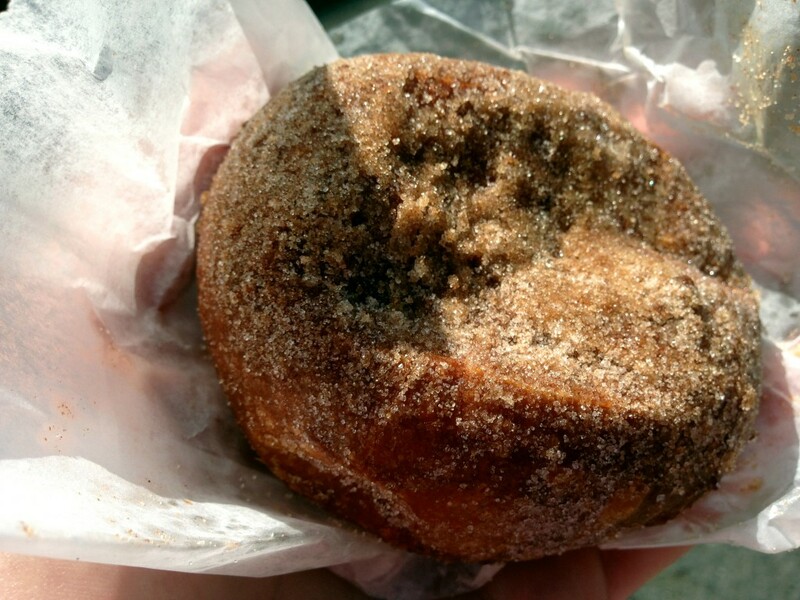 The red-ish sugar had a hint of salty and sour, but mostly sweet with a subtle taste of plum. The chocolate filling was like a pudding, but not as chocolaty sweet as we’re used to. I thought I would like the chocolate filled one very much, but it turned out that I preferred the sugared ones better.